One of Sri Lanka’s main attraction is the abundance of national parks, and I couldn’t miss visiting at least one of them. In Borneo I could just book a house inside the park and hike its trails, but here in Sri Lanka I knew I had to book a safari, even if i wasn’t sure whether I was going to like it or not… but the beauty of traveling is also discovering new activities. The first thing was to choose the park, and then the agency with which I would book the safari. When I planned my trip to the country I opted for the classical loop Airport -> Kandy -> Ella -> Mirissa -> Hikkaduwa -> Colombo, so the best thing for me was to visit Udawalawe or Yala on my way from Ella to the beach… let’s see how I decided which one to choose. 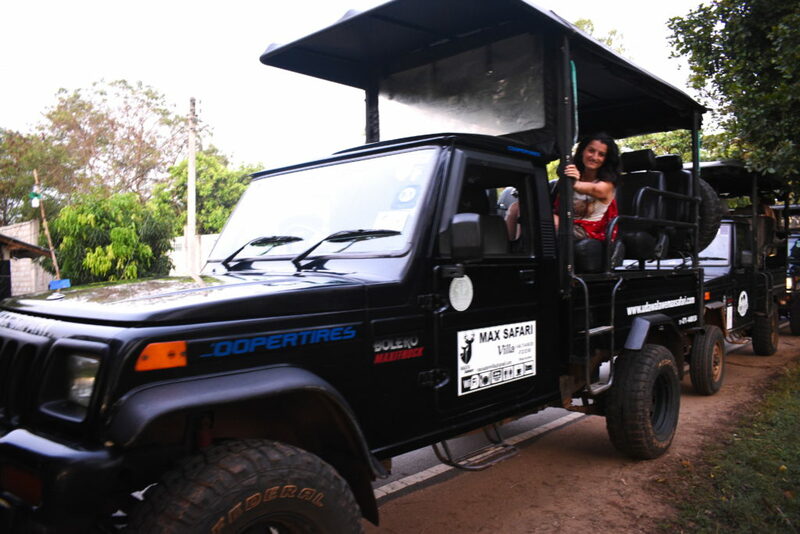 Yala is one the most well known parks in the country, and as such I understood that it could be pretty crowded; when I was gathering information about Yala I often read how jeeps often goes too close to the animals, ending up bothering them. 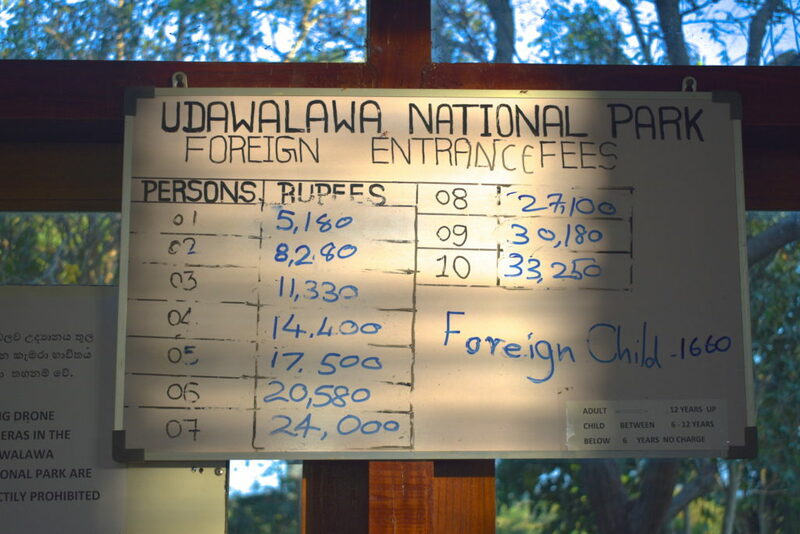 Udawalawe is less famous than Yala and usually less crowded; its animal population is also smaller (there are no big cats as in Yala, for istance) but from what I read it also looked more ethical as far as safaris are concerned. Before choosing one of them I also wanted to have on opinion from a professional agency, one that had experience in both of the parks. After checking many web pages and writing emails to some agency I ended up choosing as they provided me all the information I needed and looked pretty reliable. I explained to them that I was a vegan and that I wanted and ethical experience in which I could see the animals without bothering them; they confirmed that Udawalawe would be the best place for me. You will need a jeep to visit the park, you can book it in advance or just choose one of them in front of the entrance (not recommended at all, it may be cheaper but you won’t have to opportunity to check reviews about that companies). When you book you have to options: hiring only a driver or also a guide. I know that I usually prefer the cheapest option, but this time I strongly recommend you get a professional English speaking guide as I did with Lakpura: we had an amazing support spotting birds, monkeys, reptiles… we also had so many information about wildlife in the area (not only about the elephants) and about the different rescue centers in the country. The jeep was waiting for us in front of our guest house at 5:30 am so that we could get to the gate before it opened and reduce the waiting time. The administration of the park only allows the entrance of a certain amount of cars at a time to avoid congestion. At 7 we were inside starting our 3-hour safari (you can also choose a one-day safari, but we preferred to do the half day and leave for the beach right after). Of course, the main attraction was spotting the elephants, but we also saw a huge variety of wildlife, especially birds and some monkey. What I liked about the ride was that we could not drive off the paths, and even if sometimes jeeps stop quite close to the elephants they don’t look bothered at all. I didn’t see anybody chasing them actually. I felt lucky we hired a guide as we saw so many other visitors just driving around without taking their time to admire lizards, monkeys, little birds, butterflies…. To enter the park you will have to pay an entrance fee (about 20 euros/person) at the gate. To this price you’ll have to add the hiring of the car and the guide if you decide that you need one. A standard safari is usually 30 euros/person including entrance fee and car. You can have a REDUCED RATE with Lakpura following or using the code MVT18 during checkout. Udawalawe is right on the way from Kandy /Ella to the beaches, so you can reach it with public transportation if you want to save some money. Leaving from Kandy/Ella: take a bus to Matara and stop at Wellawaya. There you can take one of the many buses that go to Colombo (line 98), they will stop you right in front of the Elephant Orphanage, at Udawalawe Junction; from there you will easily get to your accommodation. At Wellawaya you will see a schedule for the bus, but I think it’s only related to one of the many companies that serve that route, so just wait for the first bus to pass by. The price is around 60 cents for a 2/3 hour journey. Leaving from the beach: take a bus to Matara, from there take another one that goes north and stops at Embilipitiya. From there you are close to the park, you can take another bus to Udawalawe Junction or Police Station or grab a . Total cost should be less than 1 euro. For more information about buses in Sri Lanka check out . We spent the night at , a lovely accommodation at walking distance from the orphanage. 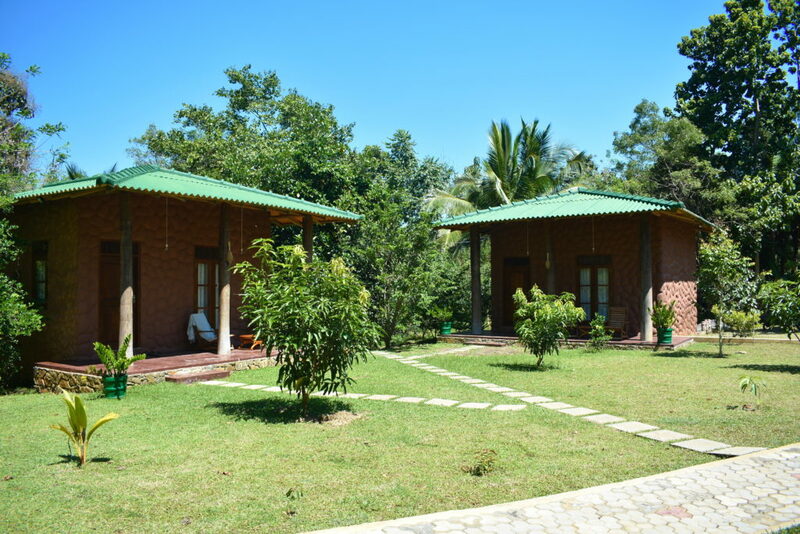 The place is surrounded by nature and you will have an astonishing breakfast that you can eat after the morning safari.